Baker College appears in our ranking of the Top 5 Cheapest Bachelor’s in Web Design Degrees Online. Baker College’s academic offerings are focused on preparing students to work in career areas that are in-demand and rapidly growing. Baker’s College of Information Technology offers several bachelor’s degrees in computer science, including a B.S. in Computer Science with a concentration in Computer Programming, a B.S. in Computer Science with a concentration in Database Technology, a B.S. in Game Software Development, and eight bachelor’s degrees in areas involving information systems and information technology and security. Baker College’s programs in computer science are designed to train students to work in a variety of settings, from smartphone technology to developing autonomous vehicles. Students can specialize in several areas, including mobile application software engineering, computer programming, and database technologies. One of the newer offerings, the B.S. in Game Software Development, teaches the skills necessary to develop, design, and test both computer games and games for major consoles. All students in the program will work through the entire game development process when developing their own product, from design through completion. Baker College also offers three graduate programs in computer sciences: a graduate certificate in Cloud Security Risk Management, an M.S. in Information Systems with a focus on Cloud Security Risk Management, and an M.S. in Information Systems (MSIS). These programs are designed to prepare students for high-level roles, such as information systems department managers and CIOs. Baker College cites a median yearly income for individuals with similar graduate degrees of $80,280, while the median salary for department managers and executives in the information technology field is cited as $127,640. Baker’s website states that each of these programs is available partially or fully online, as well as at each of Baker’s campuses throughout Michigan. Baker College is the largest private and nonprofit university in the state of Michigan, with several campuses throughout the state, in addition to an online campus. With a long and rich history going back over a century, Baker has been a longstanding fixture in Michigan. Baker College’s roots can be traced back 100 years when Woodbridge Ferris, former governor from Michigan and U.S. Senator, founded Muskegon College. Twenty years later, Eldon E. Baker founded the Baker Business University. 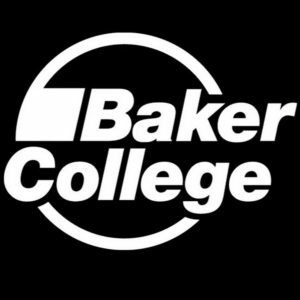 Several decades later, these two institutions merged under a single academic group, which is today known as Baker College. In 2011, Baker College awarded its first doctoral degree, in the area of business administration. Soon after, the college also opened a culinary institute and acquired the St. Francis School of Law. In recent years, the online program continued to grow and expand, and in 2016, the Online Learning Consortium awarded Baker College the OLC Quality Scorecard Exemplary Endorsement in recognition of the college’s online program quality. In 2001, Baker College achieved a record enrollment of 21,000 students across all campuses, including 4,000 enrolled in online programs. Enrollment continues to climb and is currently over 43,000 students. Baker College continues to focus on training students to work in fields that are currently in demand, especially in the areas of human services, technical careers, business, and health. Students enrolled at Baker College are able to take courses at one of eight campuses: Allen Park, Auburn Hills, Cadillac, Clinton Township, Flint, Jackson, Muskegon, and Owosso. In addition, Baker has three specialty campuses: the Auto/Diesel Institute, the Culinary Institute—Muskegon, and the Culinary Institute—Port Huron. Finally, Baker Online is the institute’s global campus. Baker College is accredited by The Higher Learning Commission and is also an Academic Quality Improvement Program (AQUIP) Participant. The institution is also part of the Midwestern Higher Education Compact (MHEC) and the National Council for State Authorization Reciprocity Agreements (NC-SARA). Students seeking admission into either the associate’s degree or bachelor’s degree programs in computer science can apply online or through the mail. The $30 application fee must be submitted with the application. Baker College states that all applications with a high school diploma or GED will be accepted into the college if they meet the minimum assessment verification through test scores, transcripts, or waivers. ACT and SAT scores are not required for admission, however. International students are encouraged to submit documentation of English fluency. Applications are accepted all year, with admissions decisions made on an individual basis. Students are encouraged to apply one to two semesters prior to intended enrollment and a campus tour can be arranged prior to or during the application process. Baker College states that they have the lowest tuition rate of any private college in Michigan, at $400 per credit hour for undergraduate courses. Upper-level courses may have an additional $10 per credit hour fee, depending on the course. Students enrolled in Cloud Security Risk Management courses are required to pay $1,200 per credit hour for those specialized courses. The undergraduate tuition rate for members of the Go Army Ed Program, active military, or members of the Guard & Reserve is $247 per credit hour. All students are also assessed a $100 technology fee per semester, with additional fees possible for those who require immunizations, fingerprinting, background checks, or waivers. Student housing is available at some of Baker College’s campuses at $2,050 per semester. Baker College offers several scholarships and grants available to all students, as well as specifically for those in the computer sciences program. Many school-funded scholarships do not require a separate application and enrolled students are automatically given consideration. In addition, Baker College students are eligible for Federal Pell Grants, Federal Supplemental Educational Opportunity Grants, Federal Work-Study, Iraq and Afghanistan Service Grants, and a variety of grants offered by the State of Michigan. Those interested in learning more about the variety of computer science degree offerings at Baker College can find additional information on their website.